Home / Medical Cannabis Guide / The Full-Spectrum Cannabis Extract: What Is It & How Does It Work? The Full-Spectrum Cannabis Extract: What Is It & How Does It Work? It is common knowledge that THC (delta9-tetrahydrocannabinol) is the main ingredient in marijuana that gets a person “high.” Many people are now also aware of cannabidiol (CBD). CBD is getting an increasing amount of exposure thanks to researching into the cannabinoid’s therapeutic properties. Consequently, CBD oil is becoming widely available as more and more people turn to medical cannabis its constituents to relieve various ailments. CBD does not have the same psychotropic properties as THC and therefore is preferential to many who want relief without the psychoactive side effects. But is taking CBD only the optimal way to unlock relief using cannabis? Or is whole plant therapy the way to go? The Hebrew University of Jerusalem’s Hadassah Medical School recently sought to compare an extract containing CBD only to a full-spectrum cannabis flower extract. They found that the full-spectrum whole plant extract was more efficacious at fighting pain and inflammation than the extract contain CBD only. While CBD was indeed effective against these two common complaints as well, the whole-plant extract contained the benefits of all of the cannabinoids and terpenes cannabis offers, which resulted in a longer-lasting and more therapeutic treatment. These results do not imply that CBD-only remedies cannot help patients. Countless patients report finally finding relief after years of searching by incorporating CBD into their daily regimen. CBD is also the only option for cannabis-based relief to the millions who live in states where medical marijuana laws have not been passed. Gastrointestinal disorders – Appetite loss is improved by THC, and when combined with CBD, can help with afflictions like nausea and anorexia.Mood – CBD and THC combined help with ADD/ADHD and stress, while THC alone often causes anxiety. Those suffering from post-traumatic stress disorder (PTSD), obsessive-compulsive disorder (OCD) and bipolar tendencies would benefit from CBD, CBG and THC combined. All five together (CBC, CBD, CBG, CBN and THC) help combat depression. 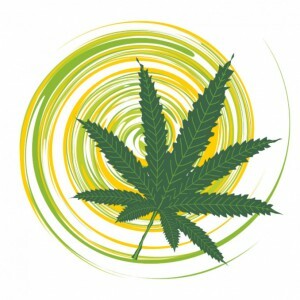 Neurological – Tourette’s can be mitigated by THC. With the addition of a variety of the other cannabinoids, patients diagnosed with Parkinson’s, Alzheimer’s, Lou Gehrig’s disease (amyotrophic lateral sclerosis – ALS), osteoporosis, seizures and other neurological disorders can experience greater relief.Pain – Inflammation and pain are two of the most common complaints in the world, and they can be relieved greatly with full-spectrum extracts. For starters, CBD and THC together help diminish cramps and migraines. – Caryophyllene is an antioxidant and anti-inflammatory that combats pain and insomnia.- Humulene offers pain relief, acts as an appetite suppressant and has antibacterial and anti-inflammatory properties. – Limonene is a stress reliever that also elevates mood. It also possesses anti-fungal characteristics and helps with gastric reflux issues. – Linalool is a calming sedative that offers help with anxiety, depression, stress, insomnia, pain and even convulsions.- Myrcene is another relaxing sedative that increases THC’s intoxicating effects. It enables the passing of beneficial chemicals by reducing the blood-brain barrier resistance. It is antibacterial, antifungal, anti-inflammatory and antiseptic. – Pinene positively affects alertness and memory retention, is a bronchodilator (helpful for asthma) and is anti-inflammatory. To think that these are just a few of the countless ailments these synergies aid is astounding. Medical science and laws should take note from Mother Nature (as well as our ancestors); things naturally work better together!